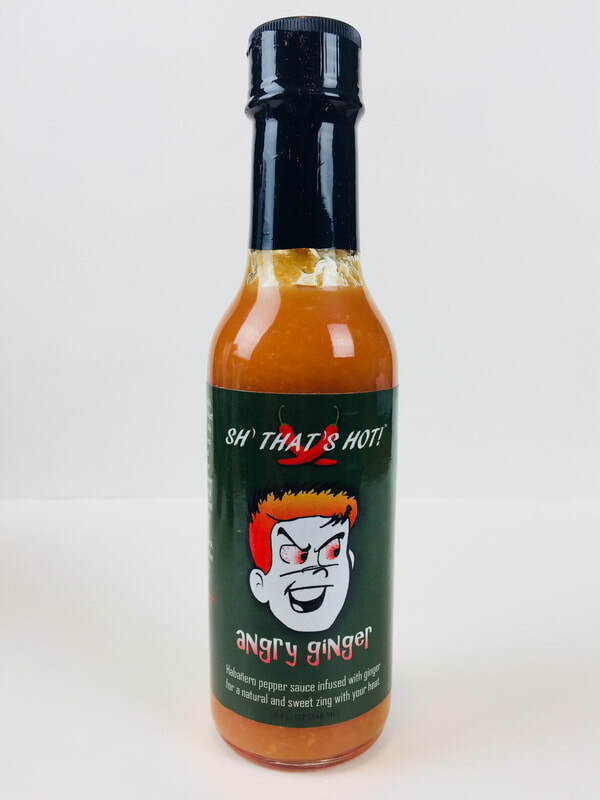 ANGRY GINGER from SH' THAT'S HOT... A slightly sweet hot sauce with a fanatics ginger flavor. 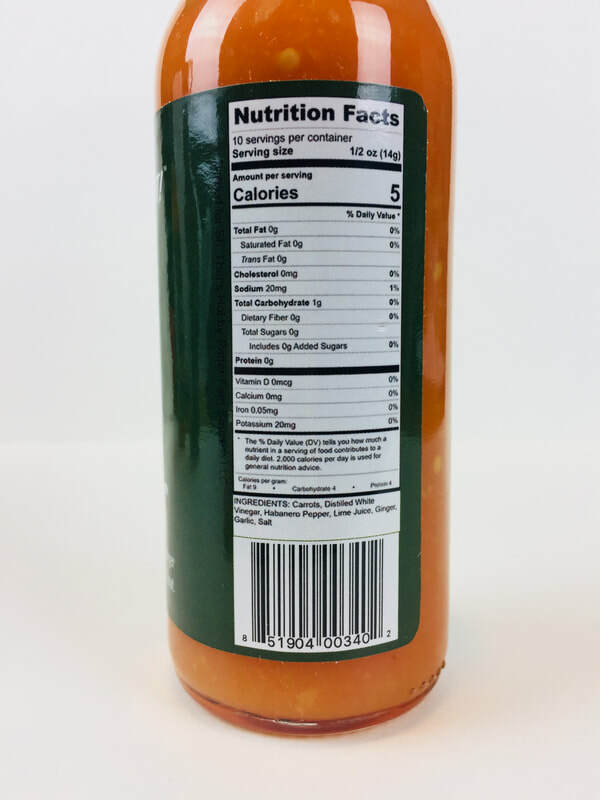 Very little ingratiates are needed to make this sauce, starting with carrots, vinegar, habanero peppers, lime juice, ginger, garlic and salt. 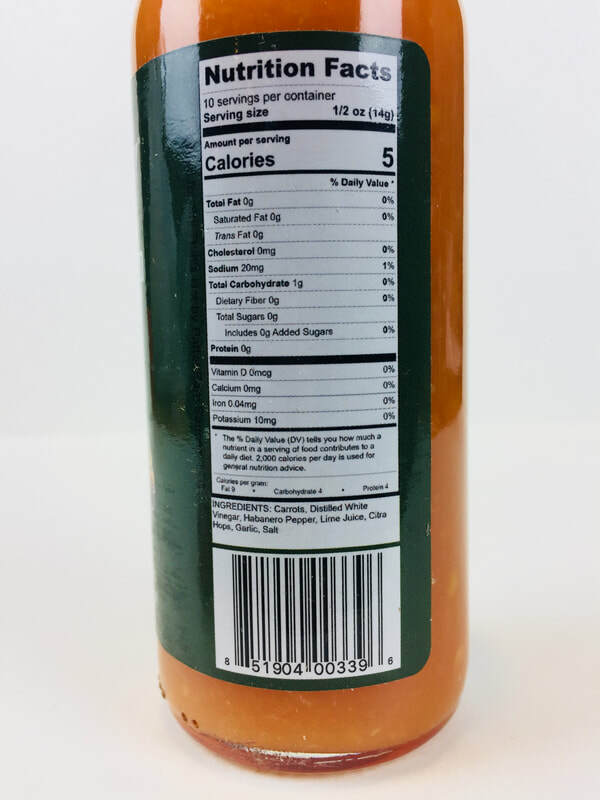 The carrots add a sweet flavor, followed by the habanero, lime juice and ginger. 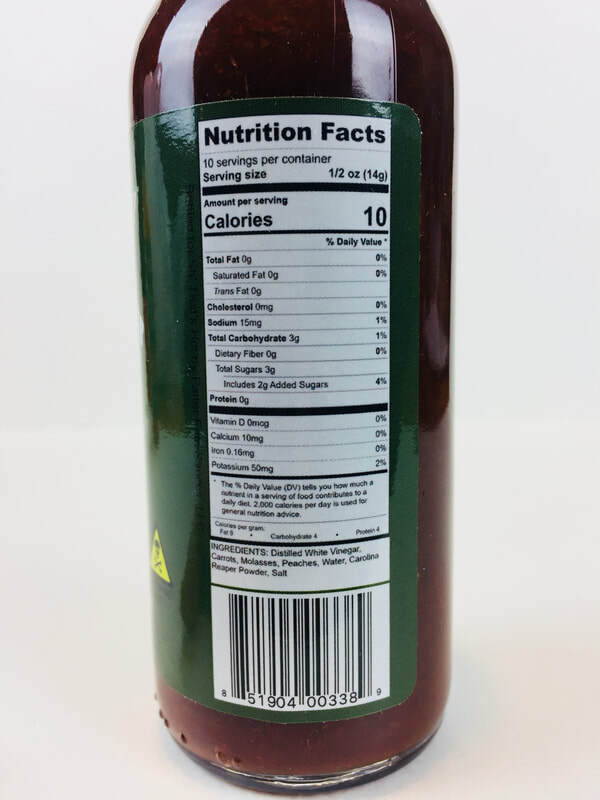 The vinegar is added in without over doing the natural flavor of this sauce. The garlic follows through to add to its amazing taste. Make your pizza, eggs, sandwiches and more come to life with this great tasting sauce. THROAT PUNCH from SH' THAT'S HOT... Get ready to get punched in the throat! This is definitely a HOT ONE! This is another sweet sauce from SH' THAT'S HOT, It has an amazing flavor coming from molasses, peaches, carrots, vinegar and salt. 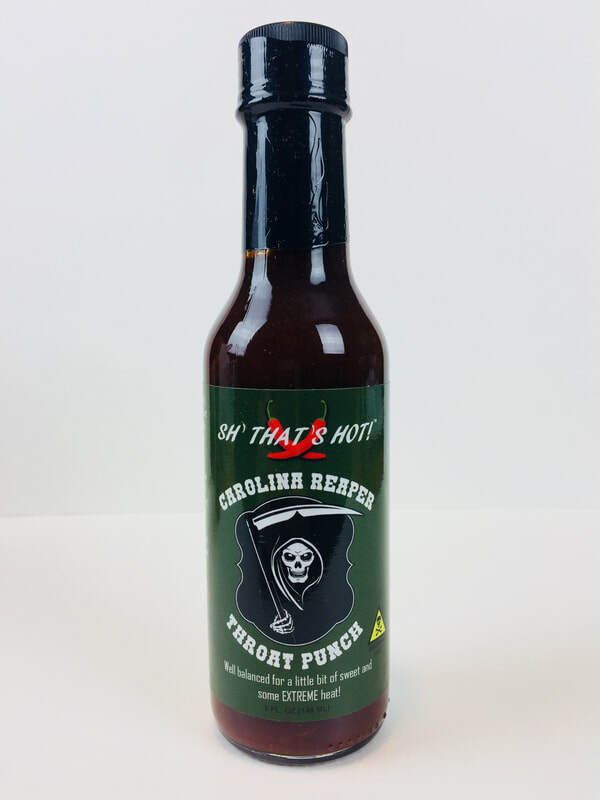 But what really gets noticed in this sweet sauce is the heat from the Carolina reaper powder. Use with caution because this one will make you think twice about adding more. You will want to, but can you handle the heat? The flavor is spot on, so mix this with some cream cheese to start out as a cooler version, then work your way up to full strength. I'm thinking another version should be made in a medium heat. I loved this mixed with the cream cheese to put on a bagel or added to ranch dressing to make amazing sweet hot wings. 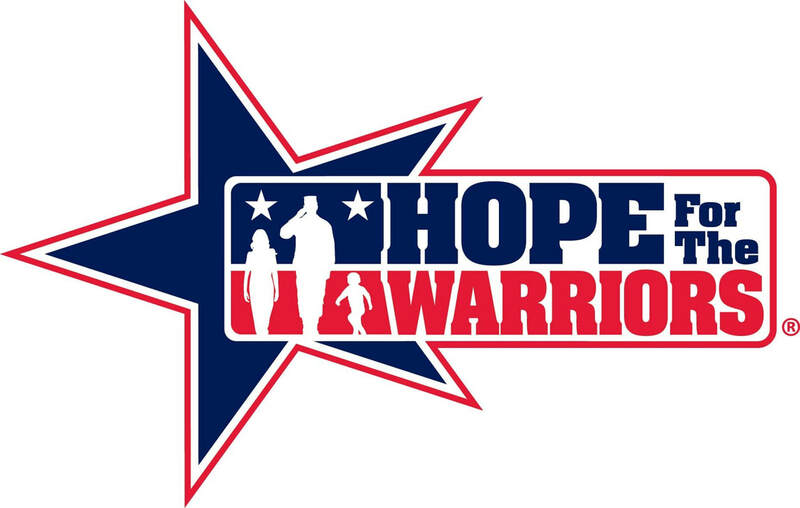 Great job Shane & Shelli. 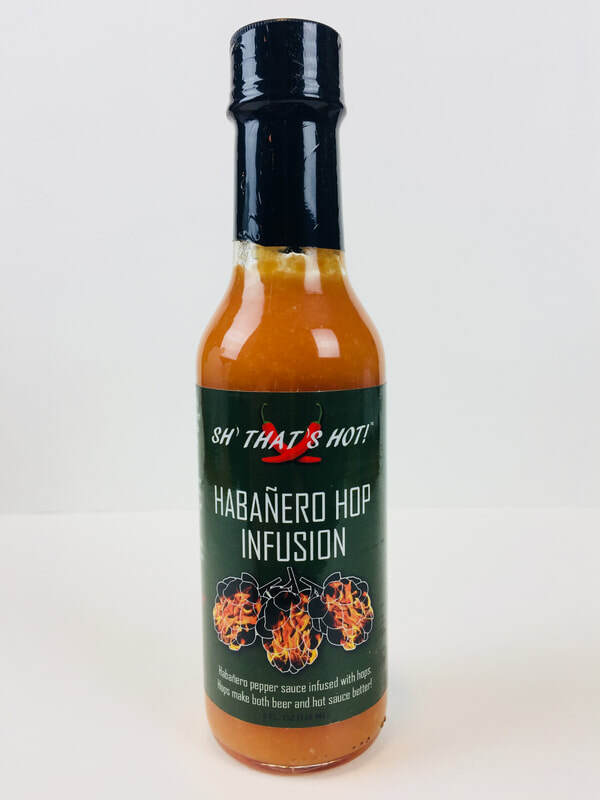 HABAÑERO HOP INFUSION from SH' THAT'S HOT... This is similar to ANGRY GINGER with just a slight change. No ginger and a little flavor of hops. This is the mildest of the three from SH' THAT'S HOT, but not at all the least in flavor. If you don't care for the flavor of ginger then this is the one for you. Amazing taste coming from the mixture of sweet carrots, vinegar, habanero pepper, lime juice, garlic, salt and hint of flavor coming from the Citra hops. Pour it on and enjoy its smooth taste. Great on most all foods, from eggs, Mexican foods, rice, roasted vegetables, pizza and so much more. I am totally loving SH" THAT"S HOT!